Sunset Overdrive is one of the best Xbox One exclusives. It came from the makers of Spiderman PS4 but while we haven’t seen a sequel, we often hear about it shedding its exclusivity. Not too long ago Sunset Overdrive was rated for PC and today, once again it has been rated for the platform. ESRB has spilled the beans on this and it seems Insomniac is working on a port. No official announcement has been made but the rating has sparked speculations. 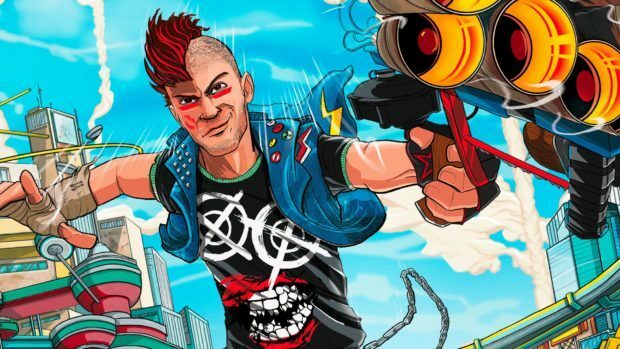 Insomniac could be working on Sunset Overdrive 2 for both Xbox and PC. Releasing the original game on PC could be a way to test the waters on the platform. Microsoft has been pushing Xbox and Windows 10 as a unified platform. Most games released on Xbox also come to PC. Some of the biggest Xbox exclusive IPs are now planned for PC including Halo. This is a third-person shooter in which players assume the role of a young survivor battling through a mutant apocalypse. As players traverse the open-world of Sunset City, they use assault rifles and fantastical weapons (e.g., grenade launchers that shoot teddy-bear bombs, guns that shoot fireworks) to kill mutant creatures, robots, and occasional human enemies. Combat is highlighted by frequent explosions, screams of pain, and gunfire. Some explosives cause enemies to be dismembered, leaving limbs around the environment; one cutscene briefly depicts a character’s head cut off by a mutant. Insomniac Games could announce something in the coming weeks. Microsoft is hosting the XO18 event in December so we may hear something about Sunset Overdrive 2 around the same time. If Microsoft announced the game it would very well be exclusive to Windows 10 Store.